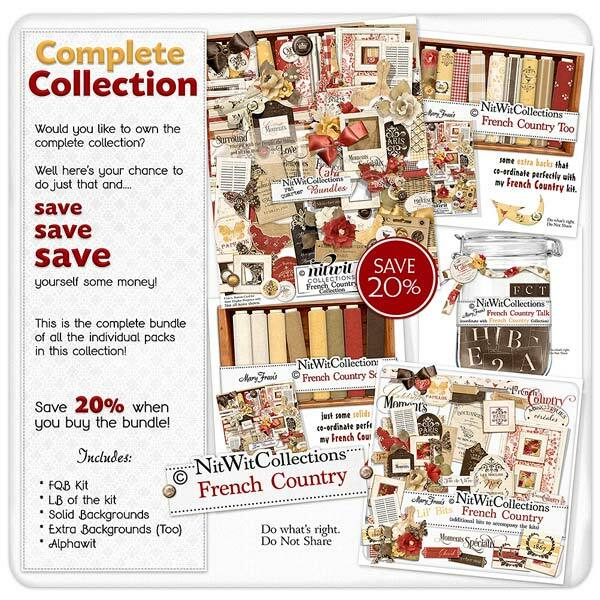 "French Country" Collection blends all of the colours, flowers and vintage elements into one spectacular digital kit! You will immediately be taken away to the French countryside upon opening this digital kit. The background papers displaying the toiles, grainsacks, florals and old brick patterns will begin to immerse you in the wonderful feel and as you continue to the old shutters, intricately designed labels, flowers and clustered digital elements you will be inspired to create your scrapbook layouts, mini albums, cards and more! Let the spirit wash over you as you complete your journey through this folder and let it guide you to assemble the most beautiful of creations!